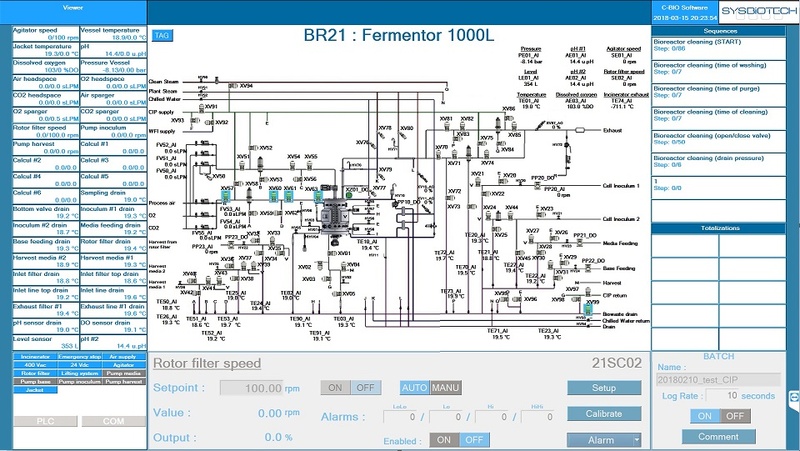 Our fermenters have the C-BIO2 software. The Software control runs under Microsoft Windows XP or 7 Pro operating system. 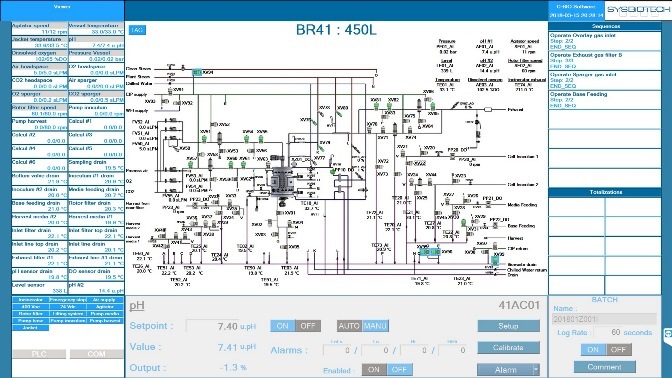 Developed from a development platform well-known on the market; “LabWindows” NATIONAL INSTRUMENT, the C-BIO2 is a dedicated application for fermentation and cell culture. The software is available in three languages: English, French and Russian. The interface is friendly. Users management: 3 access levels: Operator, Engineer and Administrator. Controls parameter: temperature, rotating speed, pH, DO, feeding, antifoam, gas flow rate, peristaltic pump, SIP, CIP. Launch Batch for data acquisition and batch report. Creation of profiles, to graphically create a set point curve for a controller. Data exportation in .CSV and utilization of the results with EXCEL. Data consultation sas curves. 12 curves are viewable simultaneously. Creation of formula (KLA, OTR, OUR, CER, etc). Recording 100 different formulae. Audit Trail, each action is recorded in the database.